Xone:62 is a classic favourite renowned for superb audio quality, phenomenal VCF filters and creative 4-band EQ. 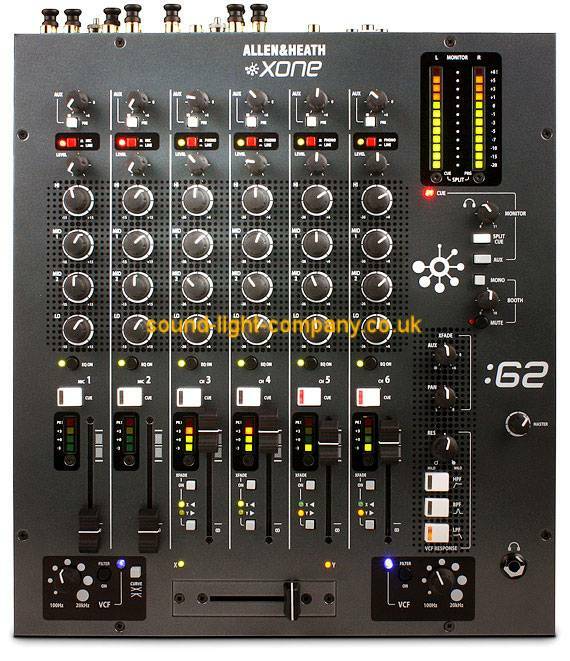 The 6 dual stereo inputs, clear layout and ease of use quickly established the Xone:62 as the mixer of choice for many of the world's greatest DJs and club installs. If you need dependability and a sound that will elevate your mixes to the next level, get the Xone:62.